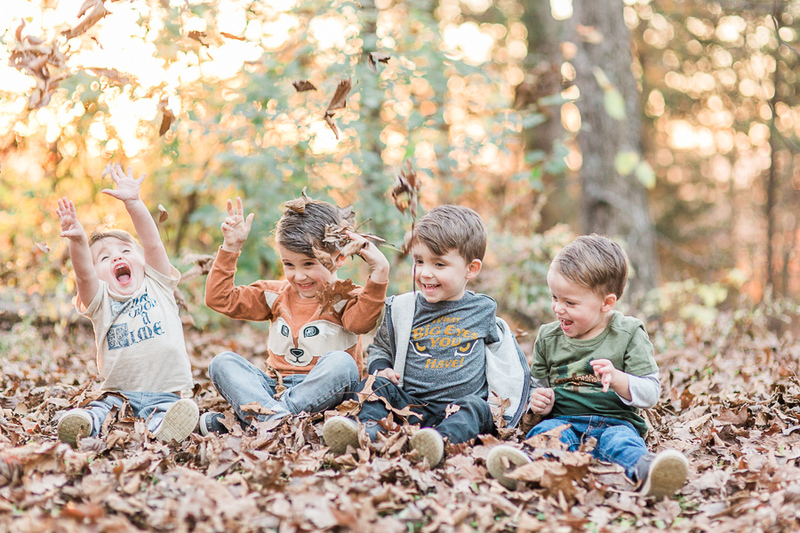 I am happy to report that through all of the chaos and stress we did manage to get some adorable (okay, I know I'm a little biased) photos of our kids that we will cherish forever! 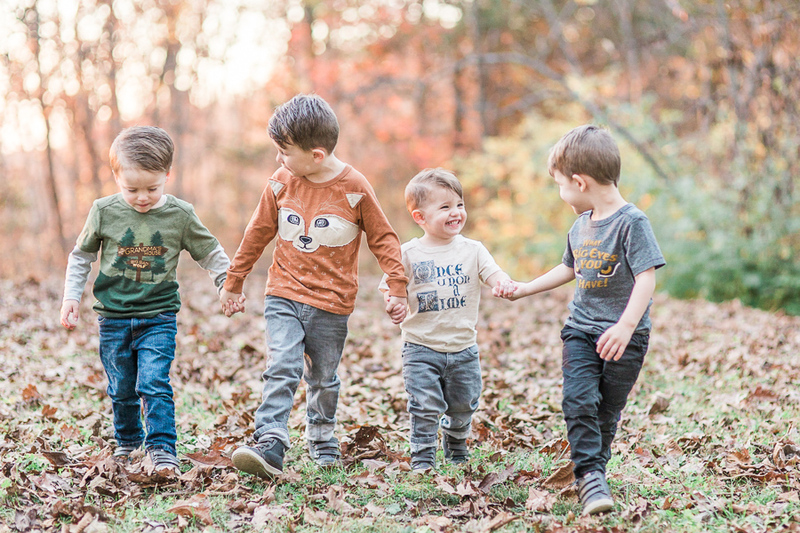 I, also, am totally in love with all of their little outfits that I got from none other than every mom's favorite store...TARGET! 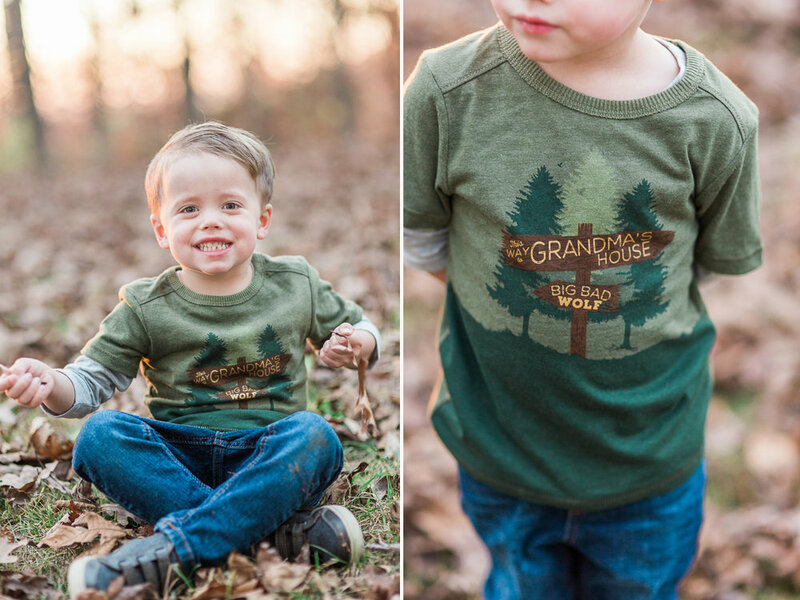 My kids pretty much live in the Cat & Jack and Genuine Kids by OshKosh brands. 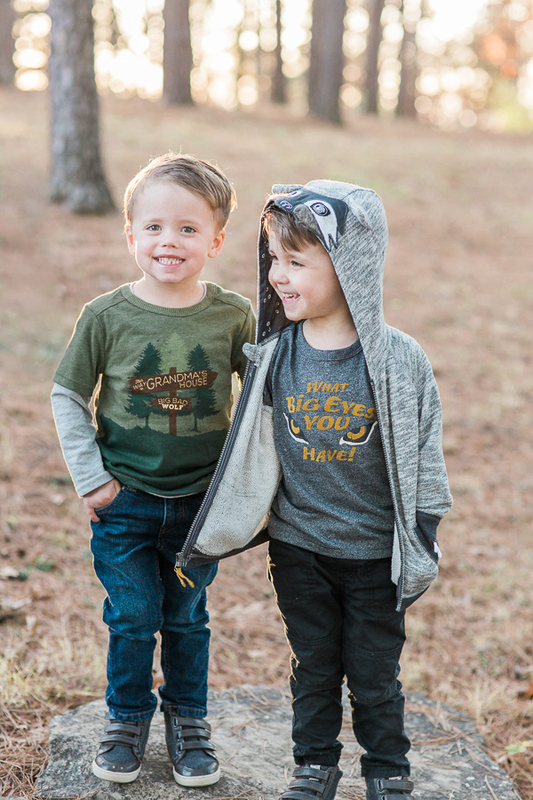 I fell in love with these shirts from the Genuine Kids brand. I love that they are all nods to different fairy tales. 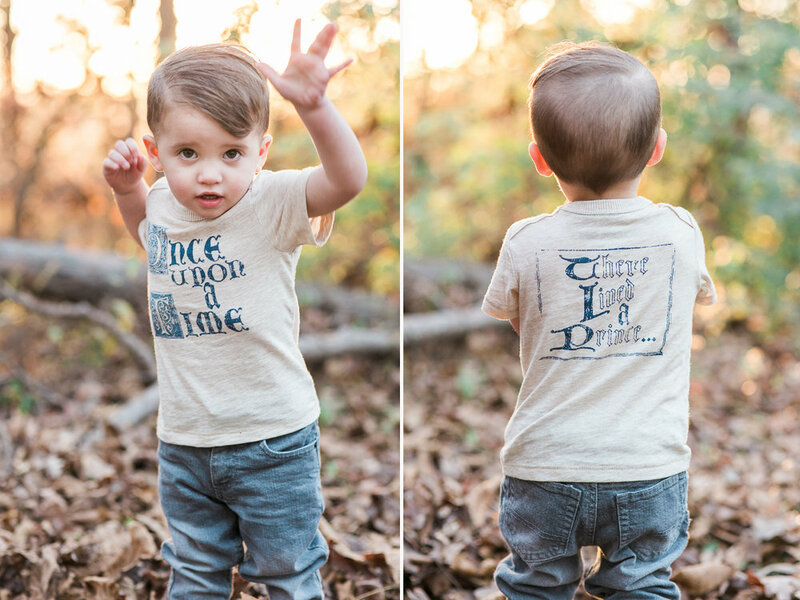 All of my other boy moms will relate when I say that it is HARD to find cute "themed" shirts for boys. Most are superheros or trains or trucks of some sort. 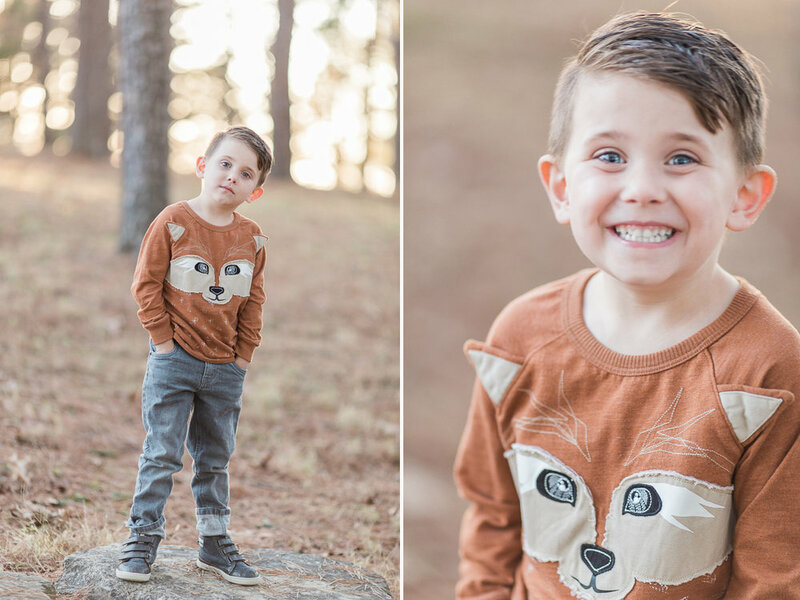 I was pleasantly surprised when I saw that they made a line for boys that was themed and so adorable! (I promise I'm not being paid by Target or Oshkosh, I just really love these shirts!) I'm hoping for more of the same in the future from them! 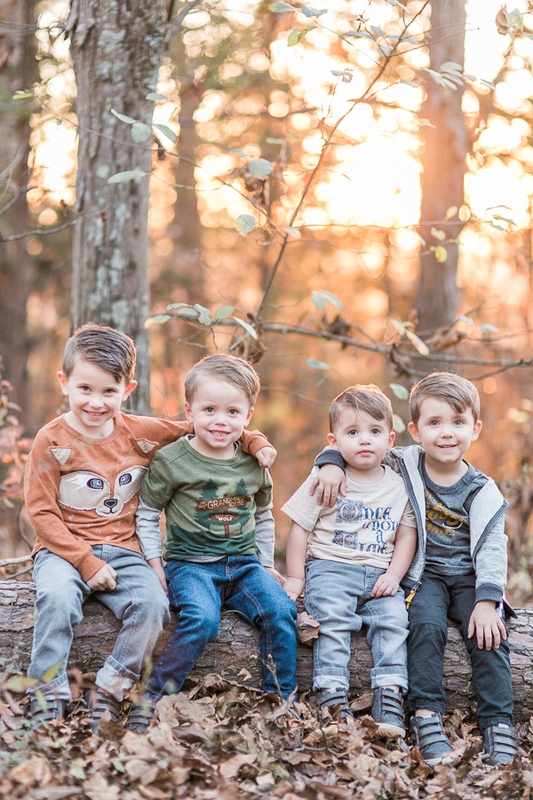 Okay, I think I have rambled on enough and I really am excited to share my 4 little monkeys with you! 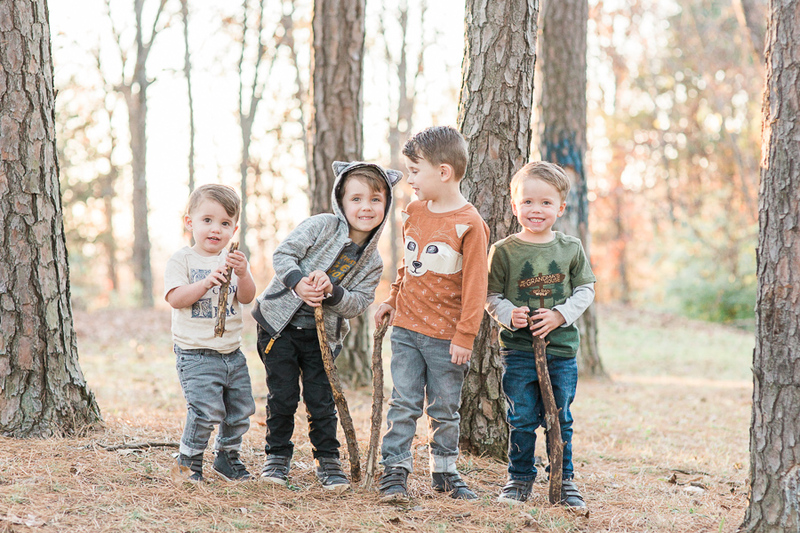 I mean, these 4 littles have my heart no matter how stressful it is to get good photos of them! And how can you not smile when you see the joy on my youngest boys face when it was raining leaves on him! 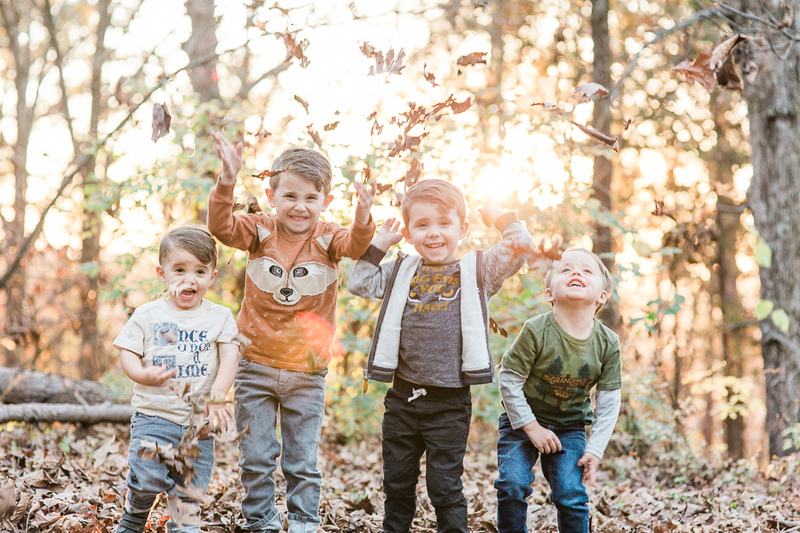 All the heart eyes in the world wouldn't come close to how much we love these crazy, sweet, rambunctious, adorable little boys!